The annual holiday Gift Bag Drive celebrated its 20th Anniversary! Campbell, the San Diego Estates realtor who started the East San Diego County charity, invited dozens of people who have helped with the annual project to a catered “Thank You” luncheon on Jan. 28 in the Alpine Library, 1752 Alpine Blvd. The occasion brought back memories for many who attended. They have generously helped, often for years, through donations, sponsorships and other means. The drive finally had to limit acceptable donations to nonperishable foods or brand new items, such as children’s toys, diapers and clothing. “Even though we have a nonperishable food drive every year some of the things are perished,” Campbell quipped, drawing chuckles. Many at the luncheon have seen what a simple gift can mean to people, young or old, who are struggling with life. After encouraging “contagious generosity,” Pastor Greg Roedell of Alpine’s Bethel Christian Assembly church said he knows of people who were in tears as they gratefully picked up Gift Bag Drive groceries. The drive has also donated $10,000 during the years to community organizations in East San Diego County. 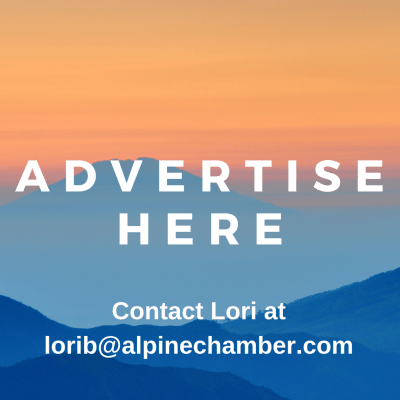 Campbell, who is the Alpine Chamber of Commerce Ambassadors’ chairman, said that what he has appreciated most about presenting the drive is the way working on behalf of one charity has helped him empower others to give to any charity. 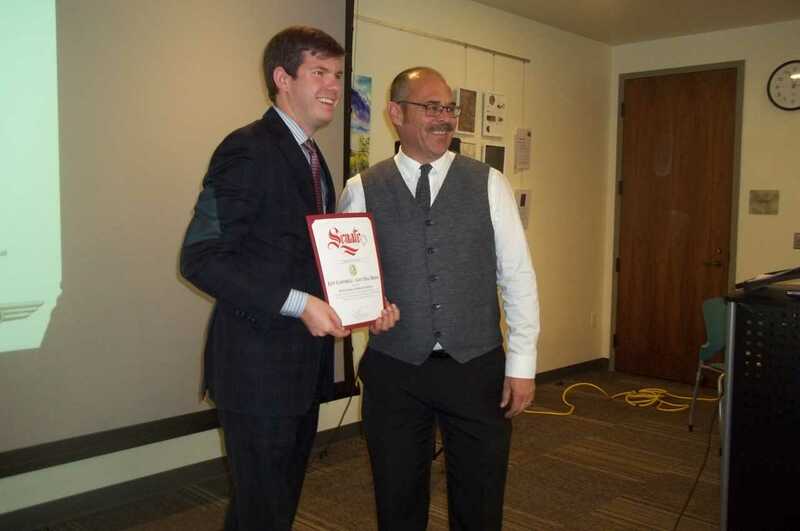 On behalf of newly-elected State Senator Brian Jones, Andrew Hayes presented Campbell with a Certificate of Recognition for the Gift Bag Drive. “You aren’t going to solve hunger, but you are going to give people hope,” Hayes said.